For a cheerful environment you’ll absolutely love living in, choose one of our sunny yellow blinds. From buttercup to mimosa, we’ll have the hue for you. So many gorgeous fabrics and finishes to choose from. We’ll bring them all for you to browse during your in-home appointment. View our range of yellow Roman blinds, perfect for any room looking for a touch of yellow. 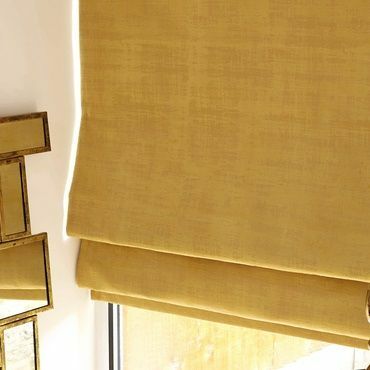 Discover our range of yellow blackout blinds, perfect for adding a touch of yellow. 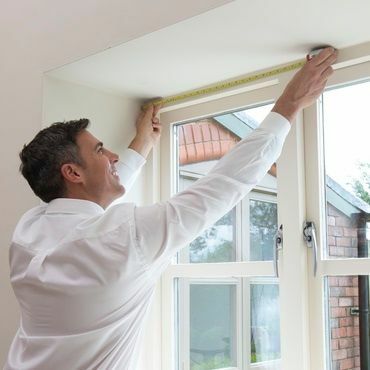 Picking out blinds for your windows is a brilliant way to inject a hint of sunshine into your scheme. And the world is your oyster when it comes to finding the perfect shade for your home. From exotic saffron tones to vivid primroses, there are so many stunning options to choose from within our yellow blinds range. 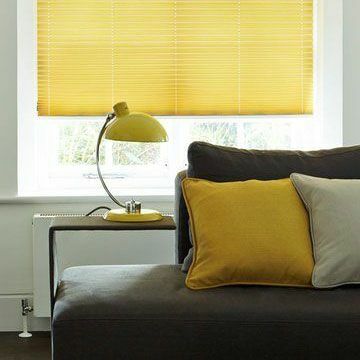 Yellow blinds are often thought of as mellow, but they can be used to create a variety of different looks - from bright and bold to elegant and understated. Lemons create a lovely fresh feel, while rich mustards create a cosy impression. There’s so much choice, you’re sure to find something you love. Once you have booked a free home appointment, your local advisor will bring our range to your home. You’ll have the opportunity to browse the fabrics in your room and see which best suits your décor. Of course, your advisor will offer all the practical advice you need to arrive at a decision and they have the know-how to measure up for the perfect fit, should you decide to go ahead.